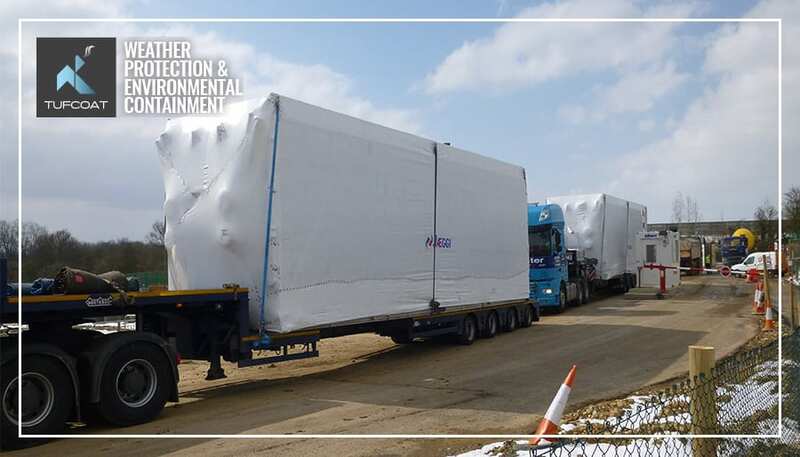 Shrink-wrap provides transport protection against heavy dirt and contaminants from the road and other vehicles when moving abnormal loads and modular buildings. Unlike traditional covers secured with ratchet straps to the transport vehicle or lashing rope over the object. 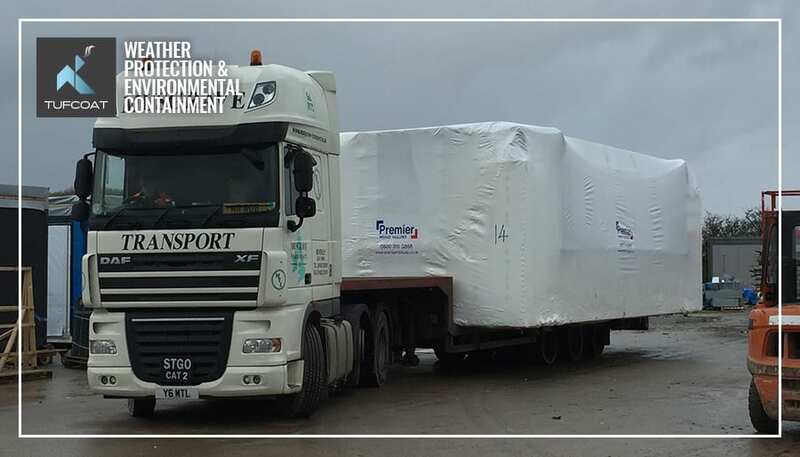 Tufcoat shrink wrap is heat-shrunk around the item being transported, creating a drum-tight cover which will remain intact even after the load has been delivered should the units require storage on site. Tarpaulins are the cheapest alternative but will require excessive amounts of rope or netting to be fixed securely and the result is still a baggy looking cover. Once the item has been delivered this cover will most likely be disposed of! It may be reused but with holes possibly cut for lift points the cover will likely end up in a landfill, with many products on the market being constructed from multiple layers of different materials, recycling can be difficult. Another option is the use of custom made canvas or PVC covers, the initial cost to template an object coupled with the return and upkeep of the cover should be considered when making cost comparisons and while there is a higher cost to these the reusable benefit often makes this product more appealing especially with heightened awareness of single-use plastics. However, in practice, we have learnt that in their everyday use when including damage, loss and high recycling cost, a shrink-wrap cover provides a better return on investment. 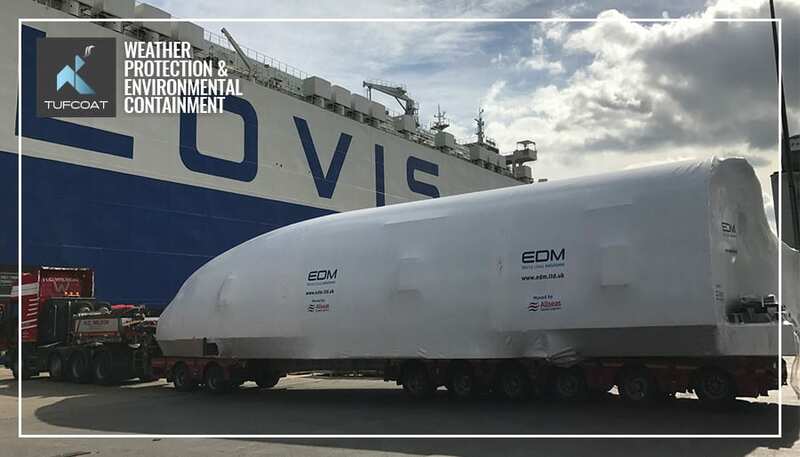 Our industrial shrink-wrap range has been designed with the encapsulation of abnormal loads as a main contributing factor to the size of the product we supply. Tufcoat’s expertise combined with the flexible sized sheets means that can encapsulate an object of any shape or size. Our 190-micron industrial shrink-wrap allows any object to be covered with one continuous sheet. This reduces excess and wastage, ensuring the most cost-effective solution for protecting objects whilst still offering the same high-quality protection expected from shrink wrap. 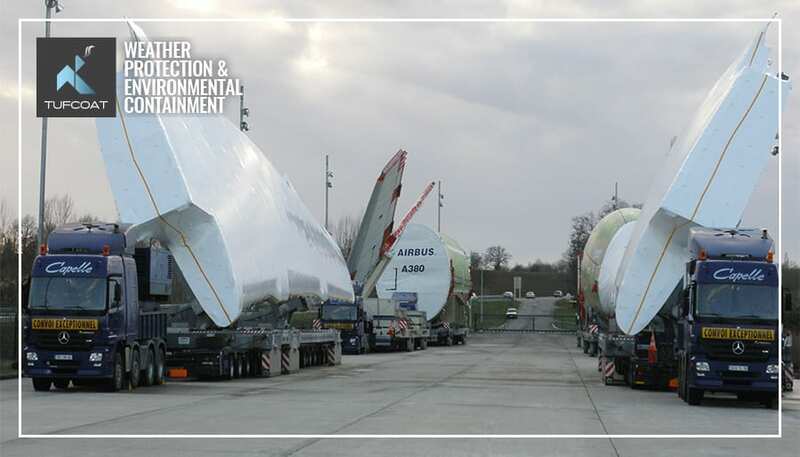 Many sectors including offsite and modular manufacture, fabrication and pipework specialists, aviation and luxury yacht builders use shrink-wrap as a way of protecting their products during transport. This is why getting the right protection for objects exposed to the elements during transportation is vital. Dirt, road grime, kicked up mud and oil can, in a best-case scenario, cause purely aesthetic problems. Even if the goods are undamaged, arriving on site dirty and in need of cleaning can give the wrong first impression to end clients as well as creating more work during the unloading process. 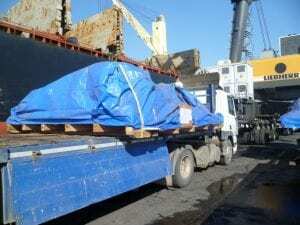 Tufcoat is experienced in not only providing materials but also installation and training services to help clients rest assured their assets will receive the best possible protection during transportation.